(22 yr old boy) He is no longer in the orphanage. Please consider sponsoring someone else. 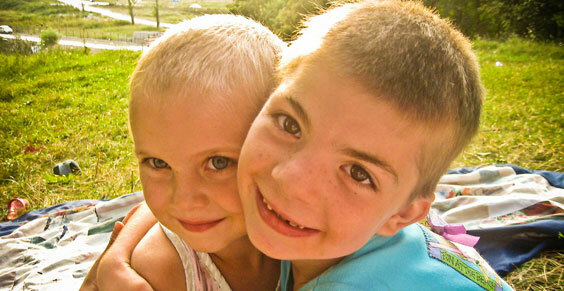 We welcomed Alexandru and his brothers, Constantin and George, to our family in 2007. Their family break up was caused by alcohol abuse. In 2007, their mother left the country, refusing to remain in contact with any of the family members for years. Alexandru's three sisters were taken by their maternal grandmother, while the three brothers were left with their father, in an unbelievable state of misery and poverty. In 2010, a sudden visit of their mother brought such a change in their hearts. Since then, she has tried keeping in touch with them on a regular basis. We have also been able to raise the necessary funds to help them reunite with their sisters and grandmother, for a visit that visibly helped Alexandru and his brothers. Alexandru is not the studious type, probably due to the years of neglect at the beginning of his schooling, but he embraced hard work and physical labor. 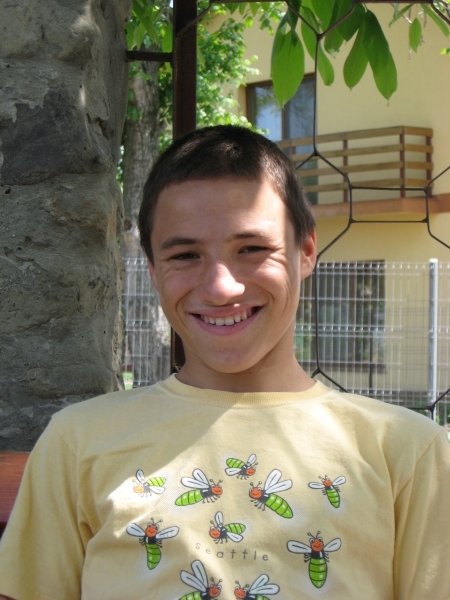 Alexandru opted to settle for a 10th grade education, which is also the minimum required by law. Due to some legal complications regarding his inheritance and as a ministry, being unable to raise enough money to cover the expense of renovating his father’s old home, Alexandru has decided to pursue employment abroad. With the money that was raised for Alexandru we were able to cover his driving school, giving him the opportunity to get a driver’s license and have a competitive edge in job placement, and the expenses related to his departure, a passport, and immediate living expenses. We are very happy that Alexandru is now independent and maturing before our eyes. He is working as a butcher in a large factory in the Braunschweig-Hannover, Germany area. He calls the orphanage frequently and keeps his younger brothers accountable to their school work and encourages them to use their time wisely. Alexandru is in a long distance relationship with Sanziana and his desire is to save money in order to get married. She has been an amazing influence in his life and we are happy about the relationship. They would have a place to live with Sanziana's parents and they have been very open to having George and Constantin over for visits, even while Alexandru has been away with work. Thank you for the difference you have made in the life of Alexandru! Please pray that the seed of the Gospel that was planted in Alexandru’s heart bear much fruit and lead him to a genuine relationship with our Lord Jesus.